The Harper government is signalling its intention to use hate crime laws against Canadian advocacy groups that encourage boycotts of Israel. Such a move could target a range of civil society organizations, from the United Church of Canada and the Canadian Quakers to campus protest groups and labour unions. If carried out, it would be a remarkably aggressive tactic, and another measure of the Conservative government's lockstep support for Israeli Prime Minister Benjamin Netanyahu. While the federal government certainly has the authority to assign priorities, such as pursuing certain types of hate speech, to the RCMP, any resulting prosecution would require an assent from a provincial attorney general. And it would almost certainly be challenged under the Charter of Rights and Freedoms, civil liberties groups say. The government's intention was made clear in a response to inquiries from CBC News about statements by federal ministers of a "zero tolerance" approach to groups participating in a loose coalition called Boycott, Divest and Sanction (BDS), which was begun in 2006 at the request of Palestinian non-governmental organizations. 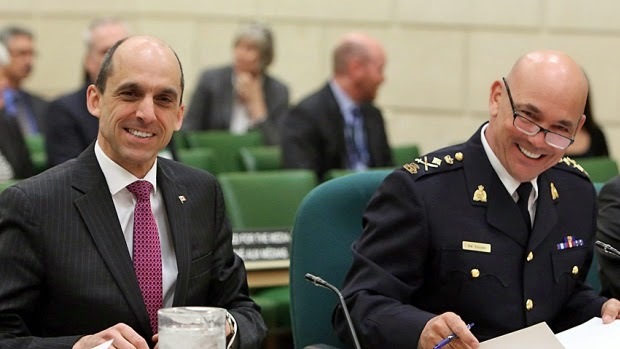 Asked to explain what zero tolerance means, and what is being done to enforce it, a spokesperson for Public Safety Minister Steven Blaney replied, four days later, with a detailed list of Canada's updated hate laws, noting that Canada has one of the most comprehensive sets of such laws "anywhere in the world." 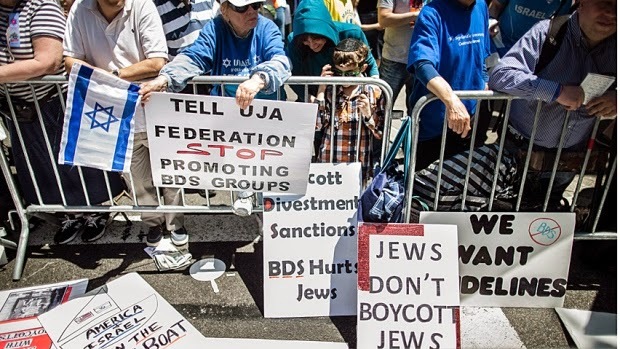 The BDS tactic has been far more successful for the Palestinians than armed struggle. And it has caught on internationally, angering Israel, which reckons boycotts could cost its economy hundreds of millions of dollars. Just last month, 16 European foreign ministers denounced the "expansion of Israeli illegal settlements in the Occupied Territories," demanding that any imported goods originating in the settlements be distinctly labeled. But Canada, a country where the federal Liberal and NDP leaders also oppose BDS, appears to have lined up more strongly behind Israel than any other nation. In January, Canada's then foreign affairs minister, John Baird, signed a "memorandum of understanding" with Israeli authorities in Jerusalem, pledging to combat BDS. It described the movement as "the new face of anti-Semitism." A few days later, at the UN, Canadian Public Security Minister Steven Blaney went much further. He conflated boycotts of Israel with anti-Semitic hate speech and violence, including the deadly attacks that had just taken place in Paris on the Charlie Hebdo magazine and a kosher supermarket. Blaney then said the government is taking a "zero tolerance" approach to BDS. Coming as it did from the minister responsible for federal law enforcement, the speech alarmed groups that have, to varying degrees, supported boycotts, believing them an effective tool to bring about an end to Israel's occupation and colonization of the West Bank, and its tight grip on Gaza. Some of these groups had noted that the government changed the Criminal Code definition of hate speech last year, adding the criterion of "national origin" to race and religion. This change could, they feared, effectively lump people who speak against Israel in with those who speak against Jews. Micheal Vonn, a lawyer for the British Columbia Civil Liberties Association, says the expanded definition is clearly "a tool to go after critics of Israel." Canadian civil liberties groups maintain that boycotts are a long-recognized form of political expression, and therefore constitutionally protected. 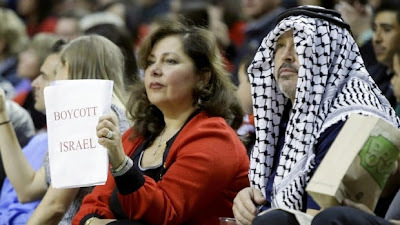 In March, the Canadian Quakers wrote a letter to Foreign Affairs Minister Rob Nicholson, expressing concern about Blaney's speech and protesting the label of anti-Semitism. Nicholson's response merely repeated the talking points first used by Blaney at the UN, and the government's vow not to tolerate boycotts. Tyler Levitan, a spokesman for Independent Jewish Voices, the principal organizing vehicle for BDS in Canada, said he believes he and his fellow organizers are already under surveillance: "This is about trying to scare people." He said BDS is an "entirely passive movement. It is a decision not to take part in something. Not to be implicated, not to be complicit. It's entirely non-violent." That's not always been the case elsewhere in the world, particularly France, where BDS rallies have resulted in confrontations with police. But it is the non-violence of the boycott approach that attracted groups like the United Church of Canada. Like the Canadian Quakers, the UCC restricts its boycott advocacy to products from Israel's settlements. The Ontario chapter of CUPE, on the other hand, supports BDS fully, shunning any contact or commerce with Israel. So do a range of other Canadian groups, and student organizations at various universities. "It is the right and duty of citizens in any free state to engage in constructive non-violent peaceful criticism of state actions and behaviours," says Patti Talbot, a senior staff member at the UCC. The church sees itself as anti-racist and progressive, which is why it was horrified by the government's description of its advocacy as anti-Semitism, and worried by the declaration of zero tolerance. "How is [zero tolerance] going to manifest itself?" asks Talbot. "It could be directed against the United Church, it could be directed at a gamut of individuals in Canadian civil society. People of goodwill." Talbot said it is all the more troubling given the recent passage of Bill C-51, the government's new anti-terrorism measures, which would further empower the police and intelligence agencies that report to Blaney. "It's not unrelated," she says, "to the clamping down on dissent." Long before signing the joint pledge with Canada, Israel passed a law making it an offence to participate in or encourage BDS. And the Israeli high court recently upheld most of it, with one of the justices writing that boycotts can be considered "political terror." At the B.C. Civil Liberties Association, Vonn says she is certain a prosecution of boycott advocates for hate speech would not survive a charter challenge. But, she says, the government is certainly sowing "dread and chill," and that that appears to be its main intention in pronouncing zero tolerance. "We've asked our lawyers. What does that mean?" says CUPE president Paul Moist. "Is it now a criminal offence to walk around with a sign saying close all the settlements, Israel out of occupied territories?" 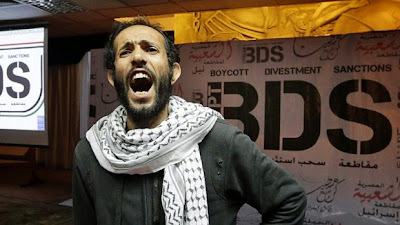 In France, the law has for years criminalized hate speech based on national origin, and authorities there have in recent years been using it to prosecute BDS advocates. To date, more than 20 have been convicted. According to the Israeli newspaper Ha'aretz, pro-Israel activists in Belgium are pushing for a similar law there. The Obama administration officially opposes boycotts of Israel, and a measure now before Congress would direct American trade negotiators to discourage boycotts of Israeli goods. But America has no hate speech laws. The U.S. constitution guarantees free speech. So a zero tolerance policy, or the type of prosecutions Canada is considering, would be impossible. Power to the people but the fascist powers will take care of that. They always do.